I like to sample the web and sniff out tasty communication–related topics. There are stacks out there, so here’s my selection box of tasters. Please dip in. Choose from helping your child talk (one of my favourite flavours), some fellow-bloggers’ thoughts on the benefits of silence and music, a sign of hope for stroke patients and this month’s favourite soft centre: the importance of red wine and chocolate, preferably enjoyed together. Yum. The Hello 2011 campaign is raising awareness of the importance of your child’s first three years. That’s when your baby/toddler learns language most quickly – so why not take advantage of that window. There’s plenty of help on the Hello site, including some great videos. Early years are key for communication skills yet 1 in 5 new parents unaware of need to talk to their baby! Don’t be one of that 20%. Good news for parents who um and er. It doesn’t matter if you hesitate a bit when you talk to your children – in fact, it may even help them, by slowing your speech down and giving them time to understand it. In fact, pauses in speech help everyone, not just children, to process what you say. I love this post from Mary Plouffe, a clinical psychologist, on the healing power of silence.She’s someone who welcomes pauses and silences, and her writing style enchants. Take a while to read and think. Maybe, like many of us, you could use some extra quiet in your life? Future hope for locked in syndrome sufferers. When is life no longer worth living? How can you tell what another person thinks if he can’t speak or move? Here’s a hopeful post on how scientists are bypassing motor problems in stroke patients and using blocked brain signals to enable movement again. Wonderful prospects for people longing to communicate and their families. Music has great power to relieve stress http://bit.ly/gWcR5L There’s a strong linked to talking, in fact there are theories that the two abilities develop as one in a tiny baby. 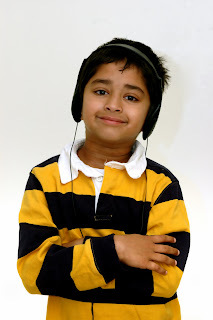 If your life is busy, your toddler fractious or your tween hyper, try some calming music. 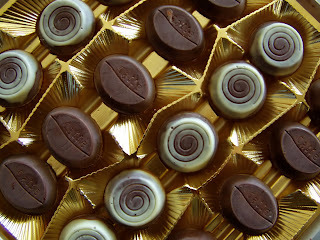 Chocolate and red wine: of course it's good for you!